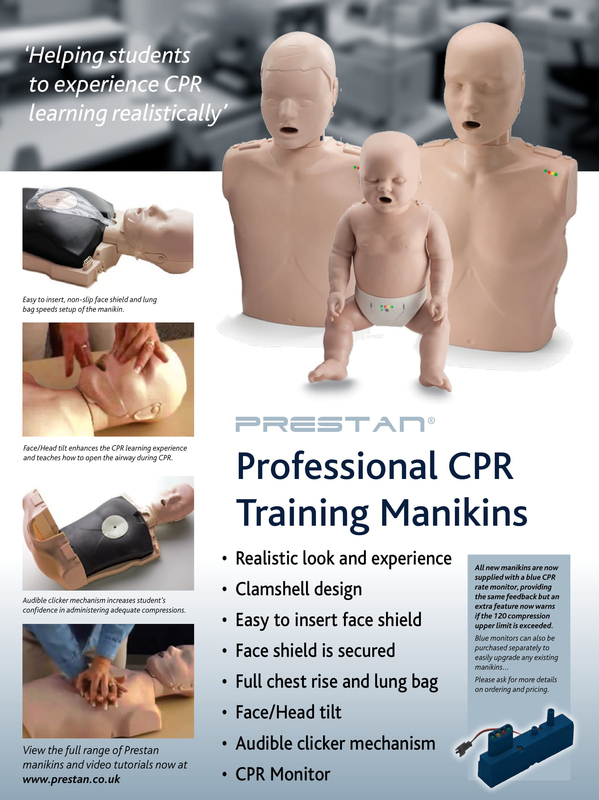 The Prestan Professional CPR Adult Manikins help Instructors save valuable training time by making setting up, transporting, packing up, and inserting a face shield lung bag quick and easy. 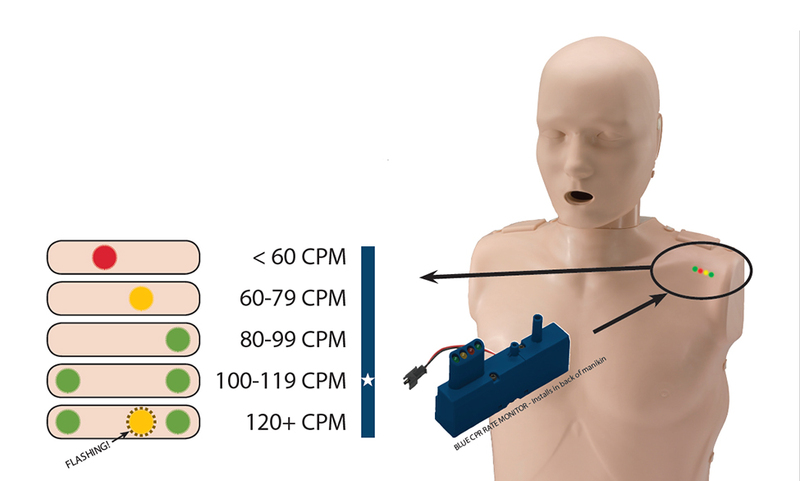 A built-in clicker mechanism helps students learn to use the right amount of force to compress the chest to the correct depth, and the patented face/head tilt, which simulates the way an actual victim’s head would move, helps students learn how to open the airway during CPR. The manikin also features a built-in CPR rate monitor that lets students and instructors see at a glance when the proper rate of compressions has been reached.